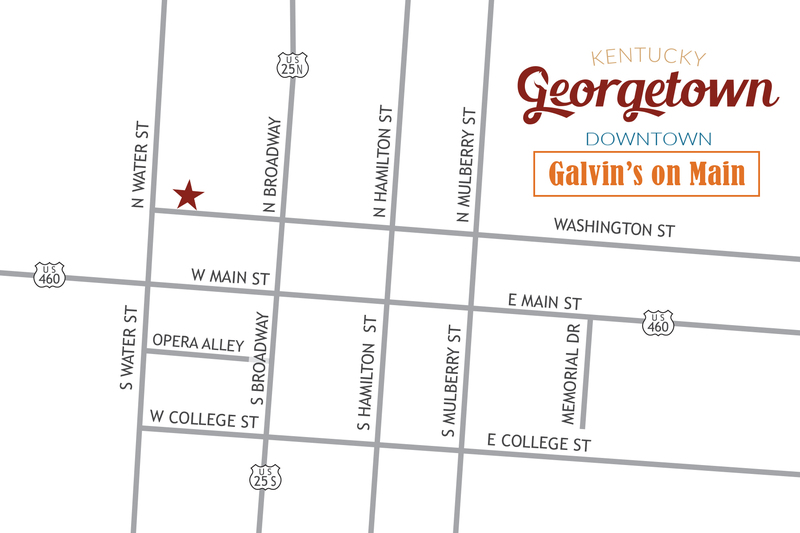 Opening the doors of the original Galvin’s at 135 E. Main St., siblings Stephanie Jones and Dan Galvin had no idea the type of movement they would make on the locals and visitors of Georgetown, Kentucky. 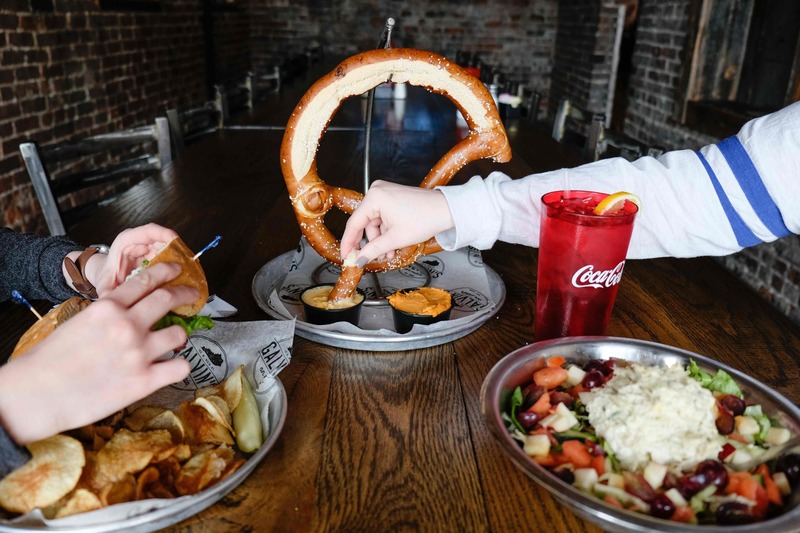 Growing up in Pittsburgh, Pennsylvania, the two wished to bring their home-style delicacies of Dagwoods and Philly cheese steaks to the south. 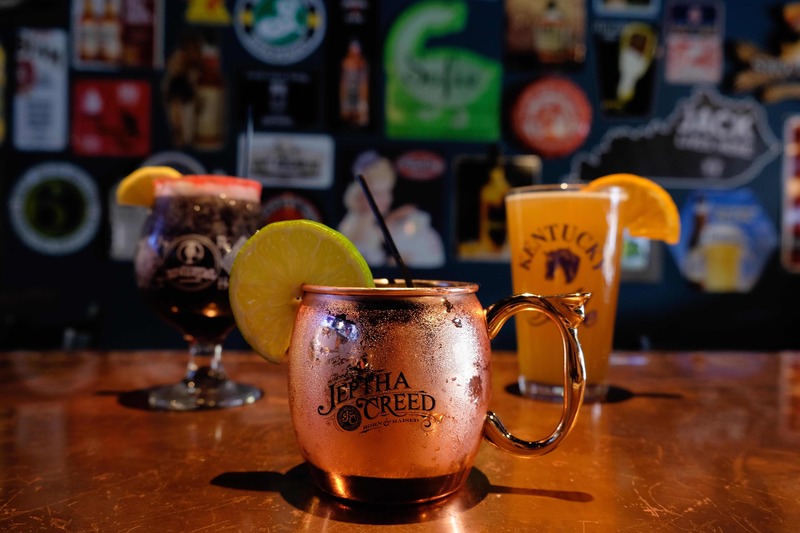 With a northern/southern mixed menu boasting an alarming 100+ items, they did just that and more! 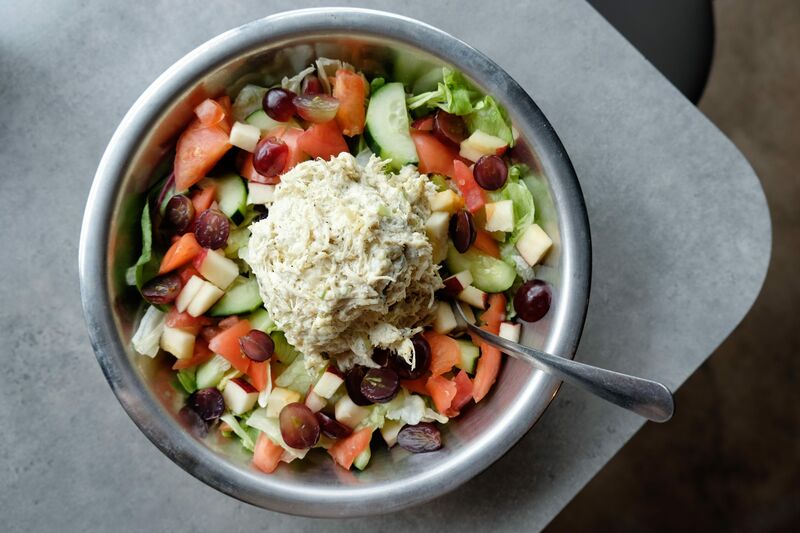 Salads, soups, pizza, burgers – you name it – it’s probably served at Galvin’s. 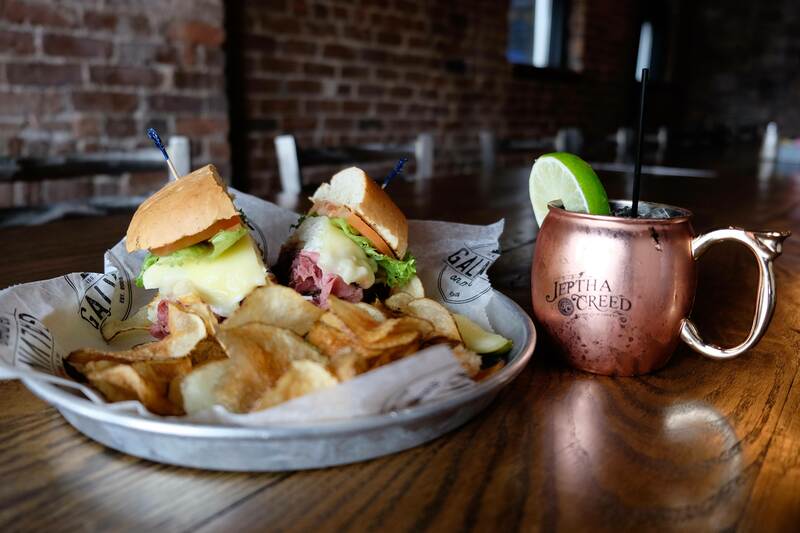 Any type of foodie can come for a ballgame or night out and dine with ease. The biggest undertaking for Galvin’s in the past 10 years of business was moving their highly sought-after dining spot in 2017 – literally right down the road. 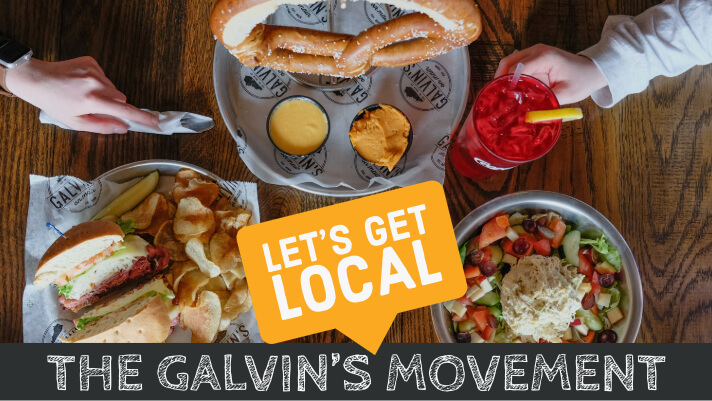 The now Galvin’s, located at 155 W. Main St. in downtown Georgetown, presents the business with double the amount of tables and almost three times the employees. At the fresher Galvin’s, you’ll find event space, a private room, and garage doors that open up for a “patio feel”. Notice the new Galvin’s bourbon décor and tabletop seating compliments their fully equipped bar and local beer list. Keeping with the authenticity of the previous establishment, many of the original servers remain working at the new location. A visit to Galvin’s can almost guarantee you interaction with a familiar face. Lyndsey herself has worked alongside her sister at Galvin’s since the beginning- 10 years ago. She has seen the changes only improve the business and downtown Georgetown as a whole. Speaking of dedicated Galvin’ers, you’ll find yourself sitting on a truly local bench piece when waiting for your dinner table at Galvin’s. The bench located in the foyer of the restaurant was built by a group of Galvin’s regulars in dedication to the owners’ father, Pap Pap, as he passed away in 2017. Now that’s what I call a loyal community! In addition to updating the look and feel of the dining spot, the team at Galvin’s has worked hard to create fun, themed nights for customers. 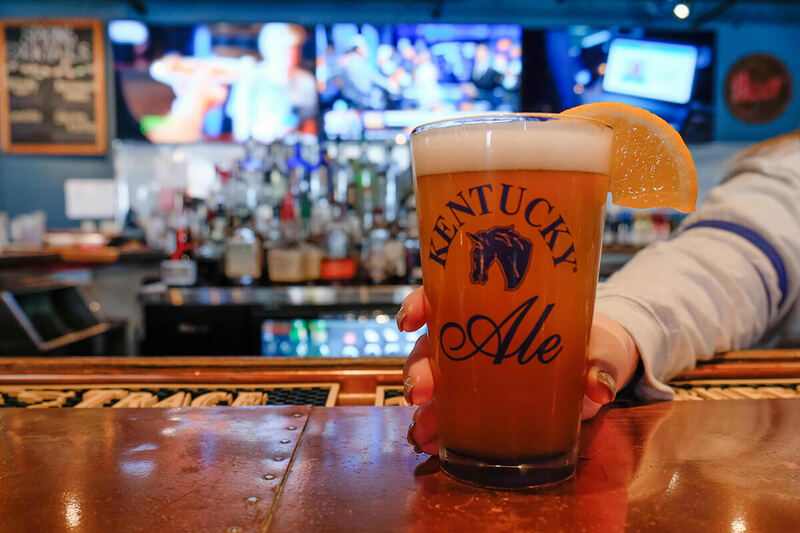 Test your trivia skills with Trivia Night every Wednesday or try a local Kentucky beer on the 3rd Thursday of the month at Pint Night. You can keep up with Galvin’s events on their well-kept Facebook page. Now you can pass the old, green Galvin’s awning on your way to the new and improved Galvin’s on Main. Dinner at this local favorite may require you a little wait time but every minute is worth it.